Choosing a mover can seem like a daunting thing to some people, especially if you haven’t moved before, but we promise it isn’t difficult at all! 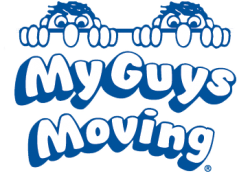 You can save time and trouble by giving the professionals at My Guys Moving & Storage, with over 25 years of experience in the moving and storage industry, a call at 757-463-3001! Read below to see why. See what exclusive services each moving company offers, such as do they do storage and packing? Will they assist you with disassembly and reassembly of your furniture and beds? Do they have any hidden costs or fees? Some companies charge extra for shrink wrapping furniture or using materials to pack items. Make sure you double check that there are no hidden costs! What kind of insurance is offered by the moving company? Does the moving company require any deposits to set up a move? Is the deposit refundable if you have to cancel your move for any reason? If there is anything else that you do not understand or need clarification on, feel free to ask! Any of our customer service representatives and sales people at My Guys Moving & Storage of Virginia Beach will be happy to answer any questions you have.